Behind the scenes there is an active and involved Board of Directors who guide the organization and oversee strategy and long term planning. They manage the employment of staff, financial forecasting, long term planning and the bigger issues affecting Hot Bed Press. The Board of Directors meet about once a month with meetings alternating between operational, strategic and quarterly financial reporting and forecasting. All give their time and expertise voluntarily. The aim is for a strong balance between ‘internal’ and ‘external’ with Board members coming from within the organisation from our membership and from invited directors with an expertise in a particular field such as financial, legal, human resources etc. The healthy balance between those with an active experience of the work of Hot Bed Press and those with a more objective overview and experience and knowledge of how other organisations work is an important factor in the make-up of the Board of Directors. There is an Annual General Meeting around June each year at which Directors can be voted on and off with the aim for a healthy rotation and ability to strengthen the Board and ensure openness and transparency. All members and staff are invited to the A.G.M. Steve was appointed Chair of the Hot Bed Press Board in October 2017. He is a chartered accountant who specialised in public sector organisations. He was Treasurer at Manchester Mind before joining the Board of Hot Bed Press. He attended the Complete Printmaker first year course in 2016, and fell in love with both the medium and the creative environment at Hot Bed Press. An enthusiastic photographer and calligrapher, he enjoys combining these with traditional printmaking. 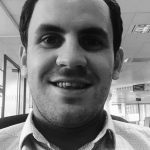 Jack is a trainee actuary who works for a large professional services firm having previously been a secondary school mathematics teacher. As such, his life has revolved predominantly around numbers, although more recently this has branched out into the more exiting world of spread sheets. He is yet to try his hand at printmaking but has not ruled out taking a course in the future. Kiran Williams goes by the creative handle of Kiran Lee, and is a compulsive textile printer. Kiran is a print technician at Stockport College & has been screen-printing on fabric for over 15 years. Kiran has had a studio at HBP for several years & is patiently awaiting a strong hold for textile printing in the workshop. Her own creative work is fuelled by the way that light interacts with fabric & the interplay of print & dye on cloth. She is also a beginner letterpress and book artist. Having completed an honors degree in Fine art during the late 1980’s Jeni taught life drawing for many years. As a painter she has always made prints and finds the two practices inform one another. After a long break from printing Jeni returned to making prints a few years ago and became a member of Hot Bed Press and a volunteer studio manager on a Monday. She continues to develop a professional practice and also teach Waterless Lithography and Painterly Screen Print. 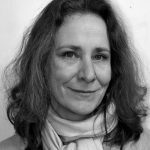 Originating from a background in textile design, Paulette worked as an art & design educator, and later also as an examiner for over 20 years mainly teaching on the Art & Design Foundation course. After that, she co founded a business creating digital artwork for commercial interiors. After completing the Complete Printmaker course at Hot Bed Press, Paulette now prints and exhibits at selected Print Fairs & small Galleries with a collective group called “Reveal Printmakers’, and is one of the main administrators for exhibition liaison for this group. ‘Reveal Printmakers’ exists as a result of the solidarity built through our experience at Hot Bed Press. Almira has been involved with Hot Bed Press for a number of years participating in a number of short courses. Then, in 2016, she took the Complete Book Artist course. In 2017 she began the Complete Printmaker and has now signed up for the second year. Lino is her preferred medium. 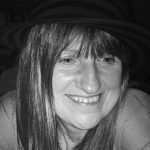 Dawn began her creative career on the Foundation Course at Lincolnshire College of Art & Design and went onto work in the arts as an events organiser, promotional consultant and curator for over 20 years. She returned to Higher Education as a mature student and achieved a BA hons degree in Public Relations. 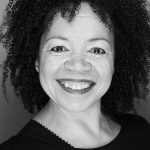 The roles and projects she has undertaken have been hugely varied – everything from Events and Exhibition Organiser for School of Art & Design, DeMonfort University to working backstage at the Nelson Mandela concert, Wembley Stadium. Dawn has done print and bookmaking courses at Hot Bed Press and is an active member of the HB Book Artists Collective. As a practicing artist and keen printmaker Hazels passion for printmaking continues to be ignited by Hot Bed Press and it is for this reason that she was keen to join the board of directors. Hazel has over 20 years experience working in both education and the design industry. 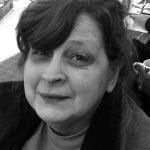 After completing an MA in design Hazel was keen to emerge herself back into a practical and creative environment and both the complete book artist and complete printmakers course offer her the perfect foundations to develop her practice.